Neck pain or stiffness is such a common injury that you will even hear the familiar saying “a pain in the neck” from time to time. The neck is one of the most flexible parts of the body. It can support and move your head around, and because of that, it is often susceptible to injury. About 26 to 71% of the adult population had admitted feeling neck pain or stiffness in their lifetime. In many cases, it’s a result of poor posture or overuse. However, neck pain can also be caused by an injury from a fall, contact sports or whiplash. The most common pain usually faced by students and office workers is chronic neck pain. It’s the result of a combination of spending hours at a desk each day and poor postural habits. However, neck pain can also be caused by injury from a fall, contact sports, or a sudden forced movement of the head or neck, also known as whiplash which commonly happens in car accidents. Neck pain can be very bothersome. While it will most likely go away after several days to a week, the pain could still interrupt a person’s daily routine. 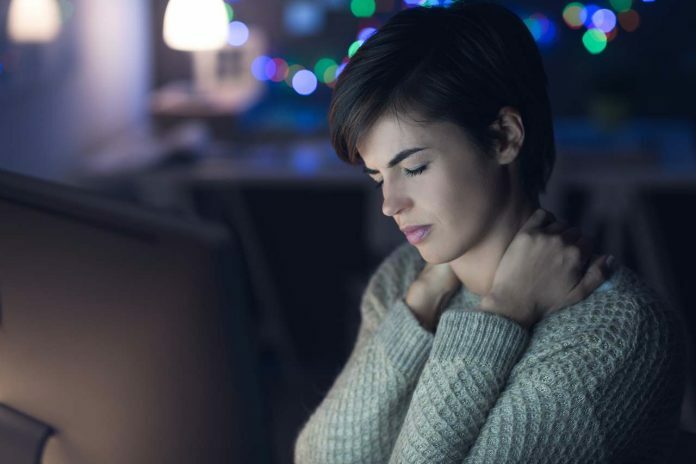 At worse, besides disrupting social interactions like work, it can develop to chronic headaches, interrupted sleep, secondary hypertension, and even eventual disability. Even something as common as neck pain shouldn’t be ignored. When the pain persists, it’s essential to get in touch with a doctor for treatment as they can prescribe certain medications to relieve the pain. Physical therapy could also help depending on the severity of the pain. There are also tests such as X-ray, CT scan, MRI scans that can be conducted to determine the primary cause of the pain. However, mainstream medicine isn’t the only treatment people can rely on to alleviate themselves from pain. Despite a few skeptics from the medical community saying otherwise, the traditional Chinese technique known as Acupuncture has also been proven to provide pain relief from anyone suffering from acute and chronic neck disorders. This infographic by Kundao Wellness gives more details about Acupuncture, including how this ancient technique works in treating neck pain.